The lens manufacturing specialists from UKA Optics know that not everyone understands the role that optics and photonics play in everyday life and in medical and technical settings. It is their job to understand and to keep up with the latest technologies and changes in the optics landscape. What are photonics and optics? 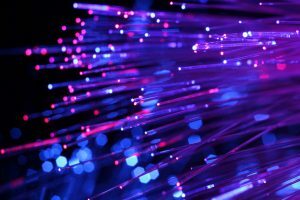 Fiber optics plays a role in telecommunications, medical imaging and cancer research among other fields. Optics is the science of light and lenses and technologies are utilized in the specialized fields of engineering and physics to name a few. In your home, for example, the computer screen, your vehicles’ headlights, your television remote control and your cell phone utilize optics and/or photonics technologies. How does the technology impact your life and health? The medical profession is rife with photonics and optics technologies. When you’re getting a CAT or PET scan or an MRI, mammogram or x-ray it is through the utilization of optics and photonics that allow the technicians to perform specific testing. If your physician or dentist performs laser procedures he is also using fiber optic technology. Digital cameras, smart phones and even the scanner you use at the grocery store use optic technologies. In the engineering and science fields most of the technologies that are used to protect the public from biological, radiological, nuclear, chemical and terrorist attacks employ optics and photonics to perform the tasks. Your high speed internet and access to your television and its hundreds of channels are made possible through the use of fiber optic technologies that carry the information transmitted from the source to your home. If you use a wireless mouse or your television remote control you are utilizing optics technologies. The lens manufacturing professionals from Universe Kogaku work with clients to assure they receive and are utilizing the correct lenses to perform the functions of the unique industry they are in.